Marine Grade Computers are becoming very important in applications ranging from basic monitor to surveillance navigation and complex ship automation. While some panels and computers used on ships and vessels may never see harsher operating conditions than those consumer based computers, and there are also a number of navigation and radio communication equipment and system requirements as well as international maritime standards. As a result Winmate provides all of Panel PC products with DNV Certification (Det Norske Veritas), the Norwegian foundation internationally certifying materials, components and systems relevant to safe operation and quality of ships. Using Intel Dual Core Atom N2600 for low power consumption and fanless design, these units are equipped with 32GB SSD Hard drive. 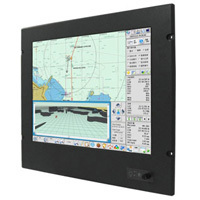 Since maritime applications have a wide range of display size requirements, our marine panel PC are available with screens ranging in size from 10.4 inches all the way to 24 inches. 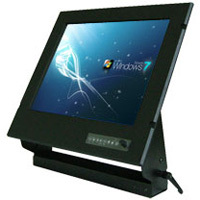 These panel PCs are armed with sturdy aluminum housing with anti corrosion protection and carries IP54 sealing rating. These PPC also can handle significant vibration and shock as well as operation in high humidity. These marine sunlight readable displays and high-quality marine hardware products allow boaters to zoom in/out and skew displayed images with the use of two fingers even in the strongest sunlight. The Anti-Reflective (AR) coatings on the protection glass have excellent performance in though ambient light conditions such as open-sea area. Optional AR coated protection glass can increase contrast by enhancing light transmission rate over 95% and can effectively diminish the minor images, it can soften the image of direct light source visible in the reflection of the viewing area. EAC/Marine was born to industrial automation and M2M (machine to machine) applications. Intel Ultra Low Voltage processor, RS232/422/485serial ports with isolation and auto-direction function, two RJ45 Gigabit and GPIO fulfilling the most of demands. Our controllers feature fanless design for high efficiency thermal conduction without ventilation holes, robust aluminum housings for anti-shock & vibration, and power isolation resistance solutions. Our Marine Box PC can be used in vehicles, stationary, and in harsh and outdoor environments.